Hello everyone! We just released a new WordPress theme called Relativity. 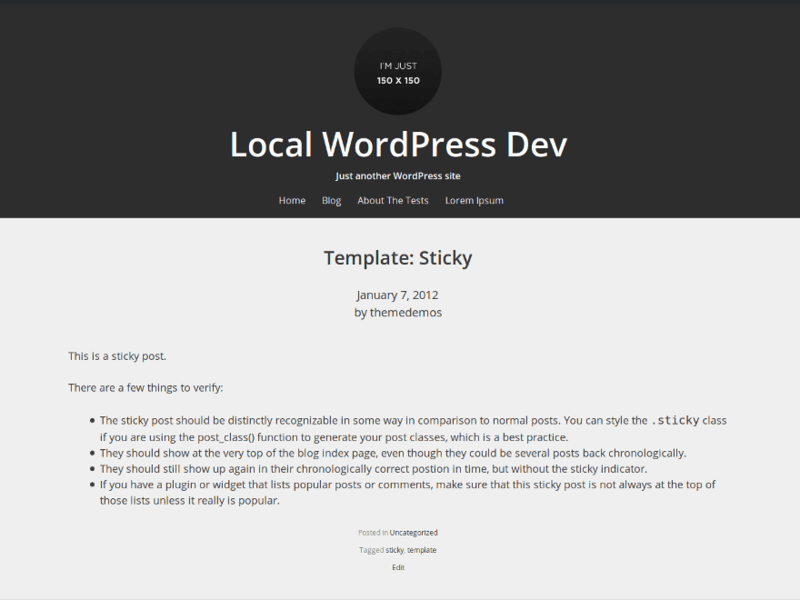 This is a single column, minimalistic theme, mainly intended for use in personal blogs. The theme follows a mostly mobile-first approach, and looks beautiful on all devices. The simple design and minimalistic css also means that you can use it as a starting point for more involved designs. Relativity has support for custom backgrounds, custom headers, custom menus, and a couple of post formats as well. We’ll be adding more features in the coming weeks. You can see a demo or download the theme. If you have any issues, or would like to propose new features, please file an issue on github.